One size does not fit all. SciComp: Providing cutting-edge interest rate derivatives pricing models for over 20 years. One-factor and multi-factor short rate models, e.g. Gaussian, CIR, BK. The list of contract features below is representative of those available with SciComp solutions, but by no means exhaustive. For Custom Developed Pricing Models, customers can request any interest rate derivatives model features they wish. SciFinance users can write specifications from scratch to develop completely customized models in-house, or edit existing examples to adjust payoffs, add new path dependencies and define a limitless array of exotic contract features. 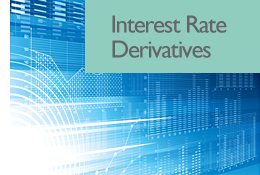 Get more information on interest rate derivatives pricing models.